Medical crowdfunding in India is gaining popularity. We give you 7 reasons why. Read on! By now you may all already know that medical crowdfunding in India is the most prominent category of online fundraising. 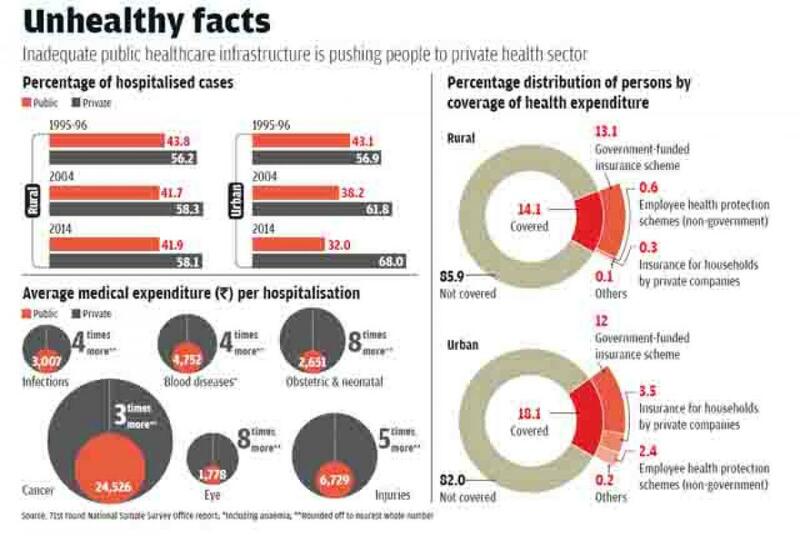 The reason is quite simple - quality healthcare still remains a luxury in India. Statistics reveal that 80% of all crowdfunding donations are made in the healthcare space. The growing economic inequity effectively cripples the access to quality health care and this situation is only set to get worse; 8.8 lakh cancer related deaths are expected to take place in India by 2020. 15 million babies are born preterm every year, and India accounts for 60% of those. 45,000 Indian children are diagnosed with blood cancer every year, while the average cost of a bone marrow transplant is between 24 lakhs to 30 lakhs. Crowdfunding in India works by effectively mobilizing potential donors to those in need, through a simple and efficient process that can actually help a sufferer raise money for medical treatment in under 24 hours. To consider the practicality of it, imagine the plight of a daily wage labourer who earns anything between Rs 5,000 to Rs 10,000 per month, and yet somehow manages to put his children through school, and ensure the family has their meals everyday. Now imagine that this daily wage labourer has an ailing mother who’s recently been diagnosed with diabetes, the medication cost of which will be a recurring monthly expense for him. An article by the Livemint suggests that as much as 25% of the income of a low-income Indian family is spent on diabetes care. You might say that in government run clinics and facilities, these medications are available for free or at a relatively subsidised cost - and that is true. But the same article elaborates on the fact that there are other challenges faced when it come to getting free or subsidized treatment/ medication.It states that even basic diabetes drugs like anti-diabetes, anti-lipids, and anti hypertensives, are almost always unavailable due to limited supply. As a result, people end up buying medicines from regular pharmacists, so as to not compromise the health of family members. So somehow, an underprivileged person lands up spending an average Rs. 8,958 annually even in government healthcare facilities. The daily wage labourer is now left with the choice to either afford his mother’s diabetes medication, or send his children to school. And tragically, this is a choice that many families are forced to make everyday. If not diabetes, then its heart disease, if not heart disease, it’s kidney disease, if not kidney disease, than cancer, and the cycle continues until a more practical solution is found. This is why medical crowdfunding in India has appealed to those who face tough and life-threatening choices each day. They are able to raise funds for medical treatment without being pushed in debt. While the success of individual campaigns for medical crowdfunding in India are dependent on the work put in by the campaigner, it is still a better and more risk-free option than all of the other possible outcomes, which makes medical crowdfunding so popular today. Digital crowdfunding has encouraged the youth to partake in charitable activities, and have in fact shown and inclination towards charitable giving. Have a look at this article to get a deeper understanding about the millennial generation and their relationship with giving. A Millennial Impact Report from 2014 shows that 84% millennials made donations in that year. The fact that people are in fact willing to look out for one another, is what makes medical crowdfunding in India as successful as it is today. In addition, a generation born into the world of technological innovations and advancements find making donations on online platforms far more convenient than traditional methods of doing charitable work. A few decades ago, charity wasn’t as easy as it is today. Back in the day, a philanthropist who was deeply involved with giving to the needy, would have to go through a lot of work to ensure his contribution reached the right people. One would have to take sufficient efforts to identify causes that needed financial aid, find NGOs and nonprofits associated to those causes, and make donations through them. The challenges they faced were that of verification of causes, ethical and trust related issues, legal work, documentation, and so on. Further, they’d have to write cheques or deliver cash, and do a lot of follow up to ensure that the funds were utilized for what they were intended to. With crowdfunding, donors are directly matched with the beneficiaries, and the work of verification is done by the crowdfunding platform, effectively ensuring that all the funds are used for medical treatment. More and more doctors, hospitals, clinics, and medical practitioners are becoming familiarized with the benefits of online fundraising, and how their patients can afford medical treatments because of it. Last year, Impact Guru ran a ‘Doctors for Good’ program, to educate more doctors and medical practitioners about the promising world of online fundraising and how crowdfunding has the potential to save lives. If every doctor recommends crowdfunding to their patients from low-income groups, one and only imagine how many lives can be saved just by ensuring they afford treatment. Surely financial aid is the greatest benefit to come out of medical fundraising, but it’s important to account for the fact that diseases and illnesses come with far more implication than just the financial ones. Often the mental and emotional aspects are ignored, because raising funds becomes the need of the hour. But the fact remains that a sufferer of a major illness and his/her family also need emotional support - something that many have found in the online communities that have also helped them raise the money through medical crowdfunding. For instance, a sufferer of cancer may find solace in the fact that he/she is able to connect with survivors and hear their stories of their battles with cancer, confide in a community of people they trust, and share valuable information on new medical treatments, costs, medicines, and much more. There is a stark difference in the quality of treatment in public vs private healthcare facilities. 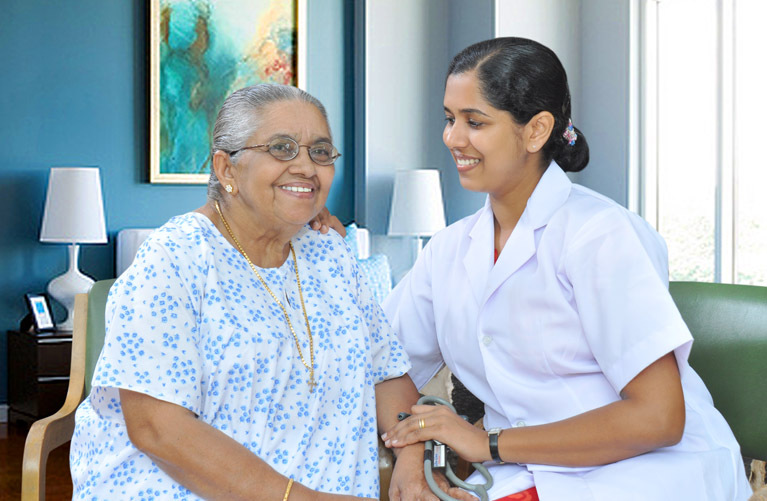 Currently, India only spends 1.25% of GDP in the healthcare sector. While public facilities are cheaper and subsidized, there is rarely availability of hospital beds, understaffed and underpaid doctors, limited supply of medicines, unupdated and poor maintenance of infrastructure, lack of administrative bodies, and so on. Consequently, it forces people into opting for private medical treatment, the cost of which goes through the roof. To some extent, crowdfunding has brought all of this to the limelight, and hopefully this accountability will lead to the improvement in the state of medical care in India. Policies and schemes like the Ayushman Bharat Healthcare Scheme provide some relief for what the future of healthcare in India looks like, but in the meantime, if you’re wondering how to raise funds for medical treatment in India - online crowdfunding is the answer.